The latest CAD work stations, equipped with Catia, Autoform, Inventor or VisiCAD, ensure a smooth exchange of data with the customer development departments. An interface to our tool making guarantees the rapid realisation of customer orders. With the help of our simulation programmes, we can verify the producibility of the components and expose any critical points. 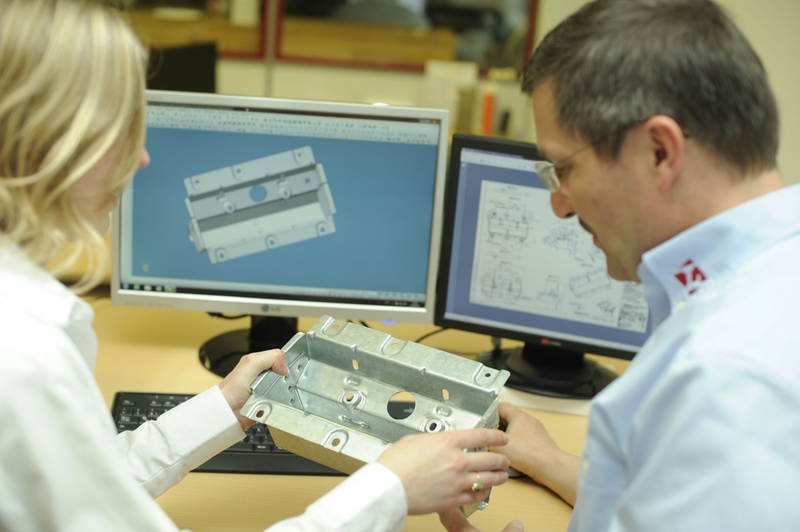 In this way, we can make modifications to the component directly at the start of a project, resulting in an optimal product for our customers.